I had the delightful experience to receive and review an eShakti dress for the upcoming Fall Fashionista Event with Still Blonde After All These Years and Modly Chic. 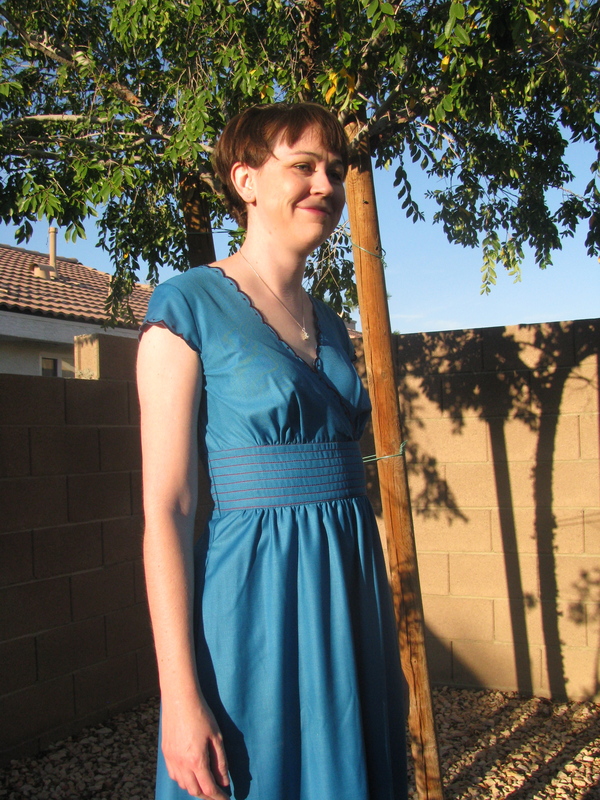 I received a gorgeous turquoise dress with a stitched trim. The dress was tailored to my specific size, shape and length. I loved being able to pick a dress style, and then alter it to fit my body type and preferences. Unlike other online ordering services, there was no guessing as to size, or whether the dress would fit. It fit perfectly upon arrival. I love the look and can’t wait to wear it everywhere, and on special dates with my husband. EShakti has many styles and fabrics available for selection, and will be my one stop shop for dresses in the future. I love being able to adjust the length of the dress and the sleeves. It is nice to find a customizable service that offers reasonable prices, and current styles. I have spent a lot of time researching what colors and cuts are best for my body type and this dress highlights all my best features. Thank you eShakti for the fabulous dress, and Still Blonde After all These Years, and Modly Chic for including me in this exciting review!! In conjunction with this review, readers have an opportunity to win several custom designed dresses for every season. Please enter the rafflecopter giveaway below, and follow the links to see other dresses and reviews. Organizer info: This dress was provided for me to review by eShakti in collaboration with the Fashionista Blogger group hosted by Still Blonde After All These Years and ModlyChic. Fashionista Giveaway Event bloggers are not responsible for sponsors that do not fulfill their prizes.